As you will see from the photos I snapped below, I’m far from a professional photographer. For great photos of the Canadian Baseball Hall of Fame’s festivities from this past weekend, you should visit Lori and Wayne Brown’s Photos. They do a wonderful job every year. 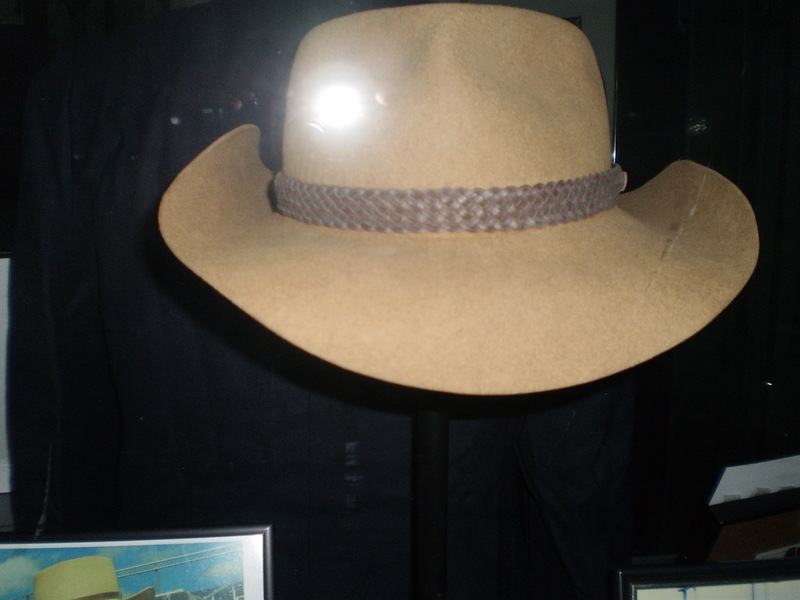 This is part of the Murray Cook display. The Sackville, N.B., native became the second Canadian to be a big league general manager (George Selkirk was the first) when he was named GM of the New York Yankees in June 1983. He would later serve as GM of the Montreal Expos and Cincinnati Reds. With the Expos, he hired Buck Rodgers to be their manager following the 1984 season. If you look closely at the photo you’ll also see that I recreated the Gary Carter trade (which Cook orchestrated in December 1984) with 1987 O-Pee-Chee baseball cards. Cook also earned World Series rings while serving in executive capacities with the Pittsburgh Pirates in 1971 and 1979. 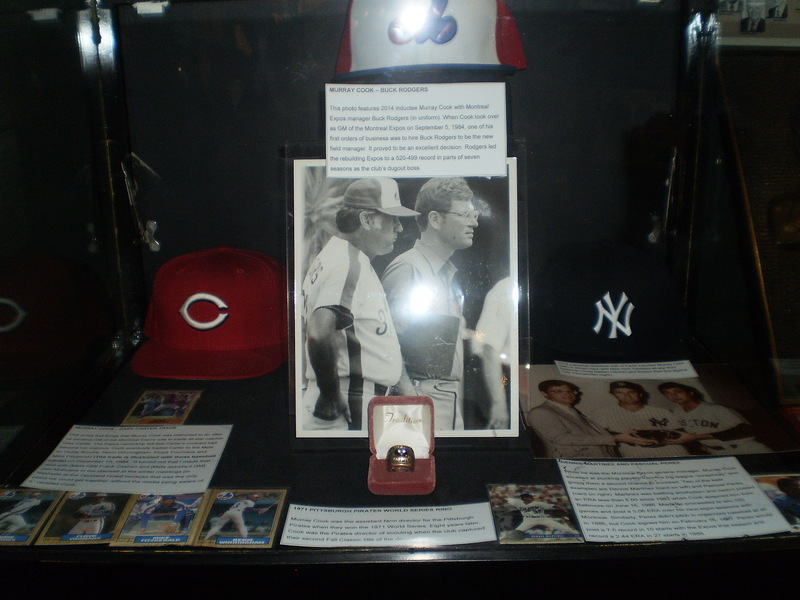 A 1971 World Series ring is front and centre in this display. 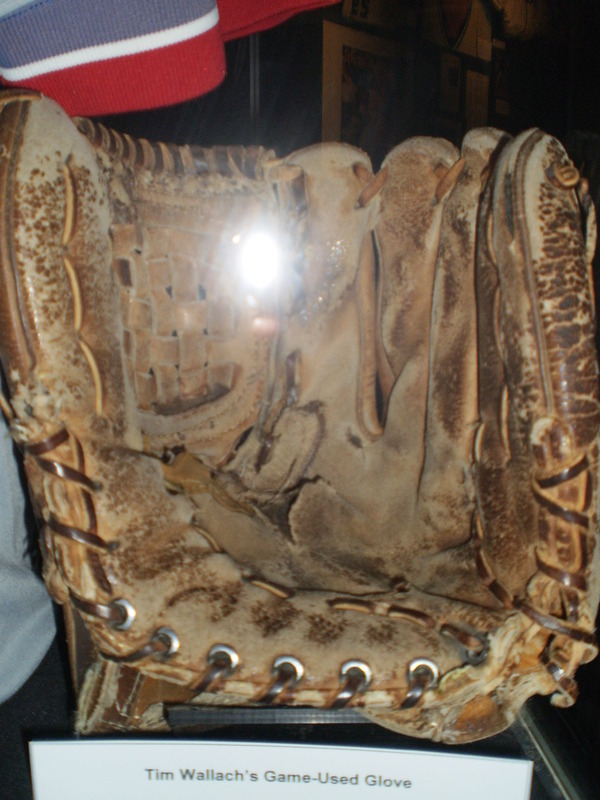 This beast of a glove was used in big league games by Tim Wallach. I can’t believe how ragged and small it is, especially for a Gold Glove third baseman. Hi Kevin; Very good and the Canadian Baseball Hall of Fame & Museum could not have done without you all through the Induction week events. Keep up the good work. God bless & guide you always. Thanks for the kind words, Bill. It was great to see you as well. 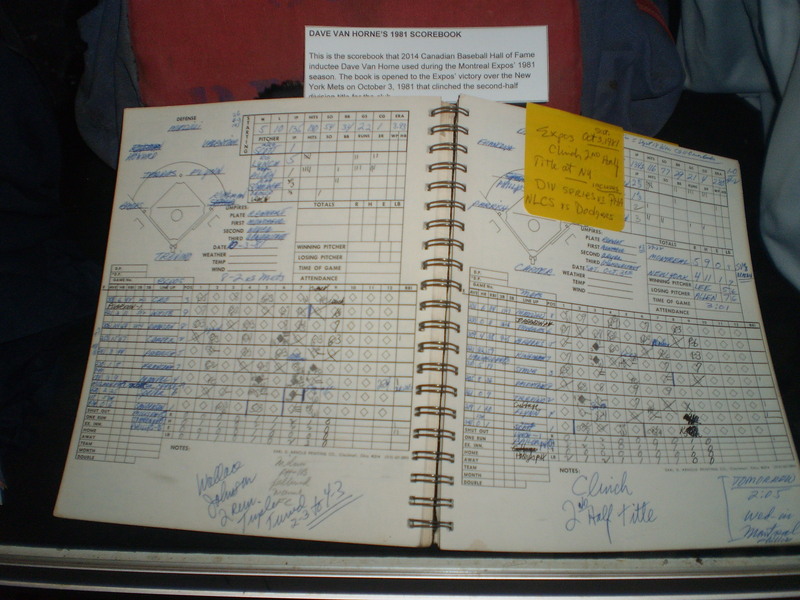 can you reveal the company that printed the 1981 scorebook Van Horne used?